In stock. Order in the next 16 hours, 6 minutes and it will go out today! EFFECT: The spectator simply names any card that they like. The magician removes a deck of cards, and claims he will make the named selection vanish from the deck. Spreading out the deck, however all of the cards are seen to be missing the faces. 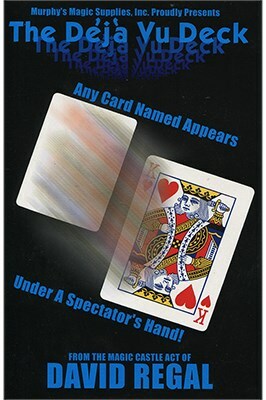 Offering to try to make their card come back, one of the blank-faced cards is very cleanly shown and placed under a spectator's hand. When they lift their hand and turn over the card, they are amazed to see it is their named selection!